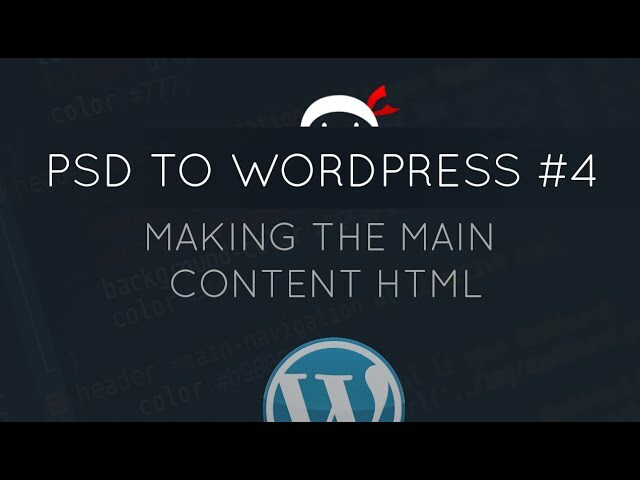 Hey gang, in this PSD to WordPress tutorial, I’ll be creating the main content HTML to finish of our HTML template. In the next lesson, we’ll dive into the CSS! You are clear on what you teach and it is really useful! Thank you! I am following your tutorial but I’m using the ‘Magnetic’ template from pixelhint. Magnetic is a template for photography, instead I want to convert the tiles on the homepage of Magnetic into separate web links. Please tell me what HTML should I use. Can I ask what size of monitor do you use for web dev?